Yesterday we had a fabulous experience with Google Expeditions. Each child had a mind bending opportunity to travel all over the world being frightened by snakes, impressed by gorillas and fascinated by fossils and insects. The most exciting thing for me as the teacher was watching the childrens' faces - it was Christmas for 30, 8 year olds. On a Google Expedition the teacher controls the environment and is able to direct the students' viewing and thinking with directional arrows on their screen and focus points. Each expedition comes with teaching notes and points to further develop knowledge of what the students are experiencing. As this was our first expedition and excitement was always going to win, we refrained from asking too many questions or teaching too many finer points. A point of interest was that the children were so keen to collaborate and share that they would lift their own Cardboard up to their friend's eyes saying "look, look!" As much as Cardboard is an "Individual Sport", I think children who are raised in such a collaborative environment will continue to want to share and experience such fun together. Is there a way we can make Google Expeditions more collaborative? We want to start creating these ourselves. Consuming the content was fun, creating the content will be powerful. 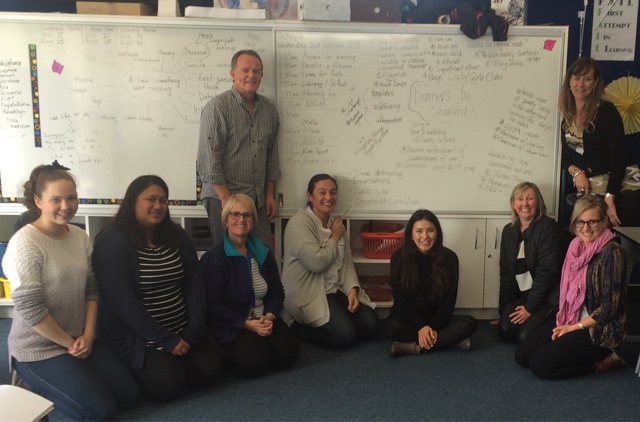 I left ULearn 15 on Friday afternoon challenging myself to succinctly summarise an intense week of learning and connecting. How do you do that and where do you start? 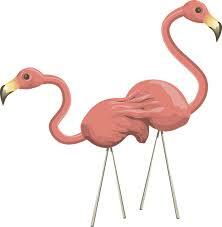 Flamingos are clearly the key starting point. 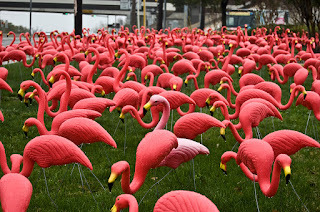 A flamboyance of flamingos may number in their thousands. Despite the large numbers, they are more often than not observed to be engaged in the same behaviours at the same time. Patterns of behaviour and movement can be established that clearly indicate a synchronicity of thought and the desire to work towards a common goal. A flamboyance of teachers may also number in their thousands. Despite their large numbers, they too are often seen engaging in the same behaviours at the same time. Patterns of behaviour indicate a synchronicity of thought and a sharing of ideas to work towards a common goal. 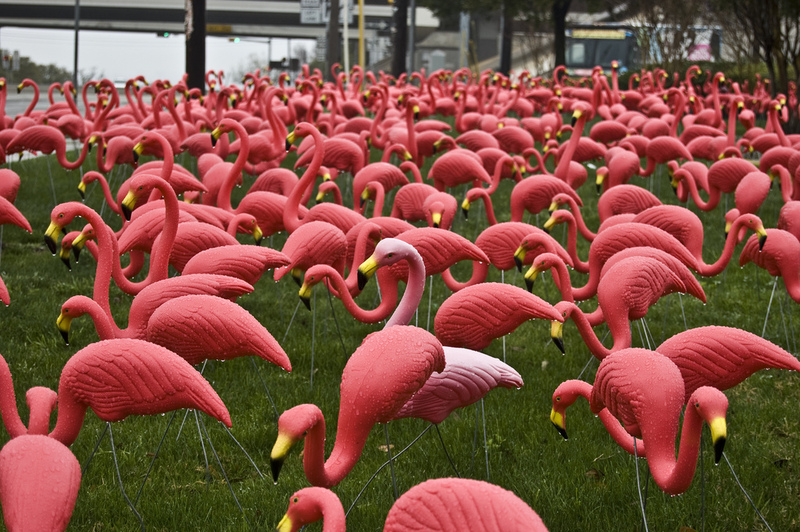 Primarily social animals, both flamingos and teachers spend most of their day involved in group tasks. Supporting the herd, leading the parade or proudly sharing the brightness of their feathers. The strongest groups share responsibility, work to their strengths and allow all members to grow and flourish in a rich and loving community. 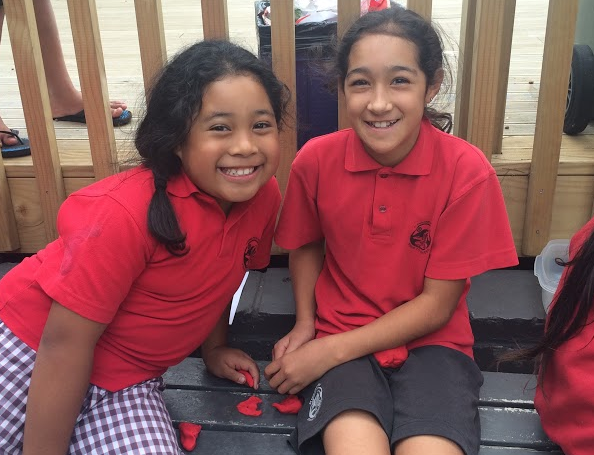 The goal of these social groupings is to provide manaakitanga for all members and to ensure strength for the future. Pouwhirinaki creates clarity from chaos, guides reflection and helps the collective to flourish. With one term to go before summer holidays, I have 9.5weeks to give my all to 30 small people. However, we have only 4 weeks until they are tested using Benchmarked/Standardised tests. 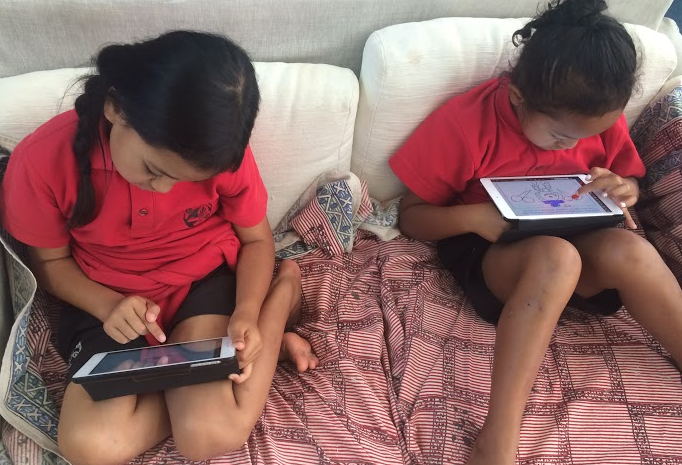 I don't see this testing as a bad thing - it certainly isn't fun for a 7 or 8 year old to have to sit still and quiet for 30minutes when they are used to collaborative, interactive learning, but the data gained from independent standardised tests is a very useful triangulation point for ascertaining an accurate OTJ. 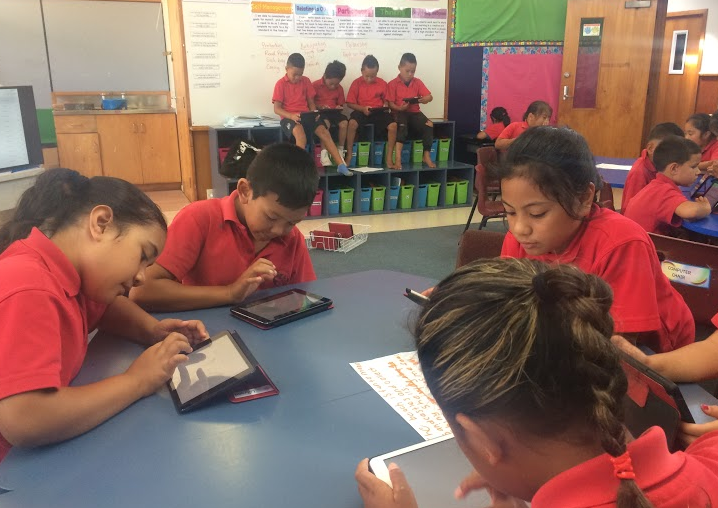 Alongside the intricate knowledge we hold about our learners on a daily basis, hard data can play an important role in solidifying or challenging your thoughts around how a student is achieving. It can also play a role in reminding you how far a student has come. 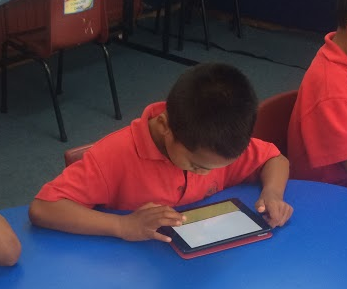 In February our year 3 students were tested using STAR, PAT Maths, PM Reading Benchmark, GLoSS and E-Asttle Writing. Throughout the year I have conducted further PM Benchmarks and GLoSS Tests as well as informal E-Asttle Writing assessments. This data collection triangulated with observations of scaffolded and independent in class activities, means that I can keep on top of OTJ throughout the year and tailor learning more accurately to the students. 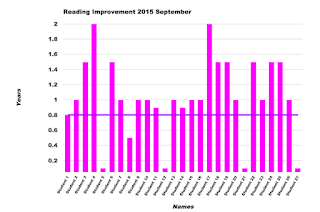 At the end of term 3 I used PM Benchmark tests to work out where accelerated progress had been made in reading and if I could discover any patterns in results that would help the kids for term 4. 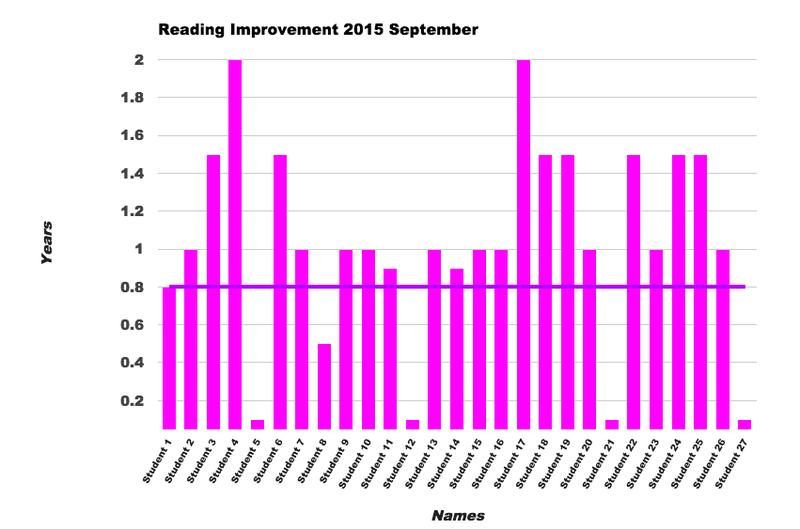 Anecdotally, I could establish that all children were making great progress. They were enjoying reading, becoming more critical around their thinking, working creatively and mastering some of those crazy nuances of the English language. Through the testing I was able to work out gaps, strengths and areas of progress. To the end of term 3 I set the benchmark for achievement at 0.8years. So any improvement above the benchmark of 0.8years would indicate accelerated progress. Of the 4 children who have made "minimal" benchmark progress, only one is of concern. The other 3 have made progress not made before in their 2years of schooling. They have progressed in Key Competencies, in enjoyment of reading and in the ability to employ some strategies to decoding. Not to mention, they have quadrupled their sight word knowledge. 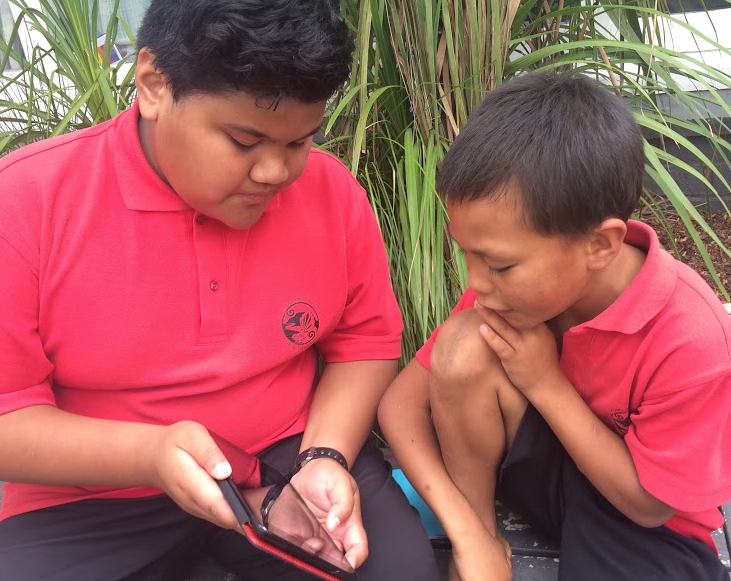 Unfortunately National Standards won't show that progress, but a conversation with whanau and visible learning through blogs and GAFE can share the successes clearly. As for writing, "My Boys" began the year with an absolute aversion to independently writing their own ideas. They enjoyed copying over a teacher's writing, they enjoyed sharing ideas, they also enjoyed recording ideas orally. Crafting a sentence either written or oral, was something they avoided at all costs. After 3 terms of building confidence around writing, writing about contexts the boys chose, as well as slowly, slowly removing the scaffolds they have enjoyed - we now have 4 boys who are successful in writing about their experiences and on occasion choose to write. Not just choose to write, but choose to write when they could be playing with Lego, cars or yo-yos. Term 4, I will remove the next scaffold of listening to complete sentences before recording their own. The plan is to have recorded generic sentence starters available to recount personal and shared experiences. The expectation is that the boys will write a complete complex sentence, illustrate it and post it on their blog at each writing session. After the first week of term, we will reflect together as a group on what story starters they've enjoyed using and what they may like to use the following week. We will also talk about the sorts of experiences they may like to write about. By offering more openness, it leaves the boys room to interpret the motivation or experience as they wish and to take more risks with vocabulary and sentence structure. I filmed this movie early in term 3 and has been sitting in a draft post since. I feel today is the day to post as I am sitting in @librarypaula's #ulearn15 presentation about the future of libraries. I heard on the news this morning that a large UK book store is discontinuing sales of Kindles. Now I'm not sure that's because digital books are failing - in my opinion it's probably the existence of another device when our phones can do it all. However, there is nothing quite like kids and real books! I was fortunate to receive 30 or so brand new non-fiction books about snakes, dinosaurs, sharks, insects, space - all sorts of high interest topics. As I laid them out on the floor, 25 pairs of eyes widened, 25 smiles grew increasingly more grinnier! The engagement with "real books" was more powerful than anything this class has experienced with digital devices. They "love" their iPads, they "love" their digital books, but my word, they absolutely gobble up these beautiful books. There's nothing quite like the power of tangible books to collaborate, share, discuss and enjoy. 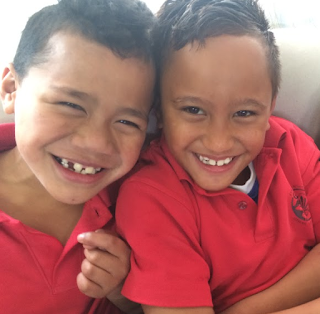 Despite lots of growth in reading and social developments during 2015, the boys are struggling to write independently. 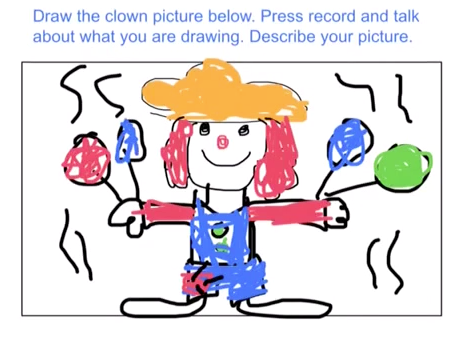 So we started term 3 with a set series of sentence dictations pre-recorded using Explain Everything. Each sentence builds on the initial word group. example: I like to play. I like to play rugby. I like to play rugby with my friends. The boys download their Explain Everything, listen to their sentences and write down each sentence on a template sheet. They have access to word cards, word wall and gifted unfamiliar/topic words. By the middle of the first week, two of the boys had established enough confidence to undertake the task independently and be incredibly successful. They were able to write 3 sentences with correct spelling, independence of finding words and almost correct punctuation. Along with completing the dictated sentences, the boys have a "word of the day" activity to undertake. 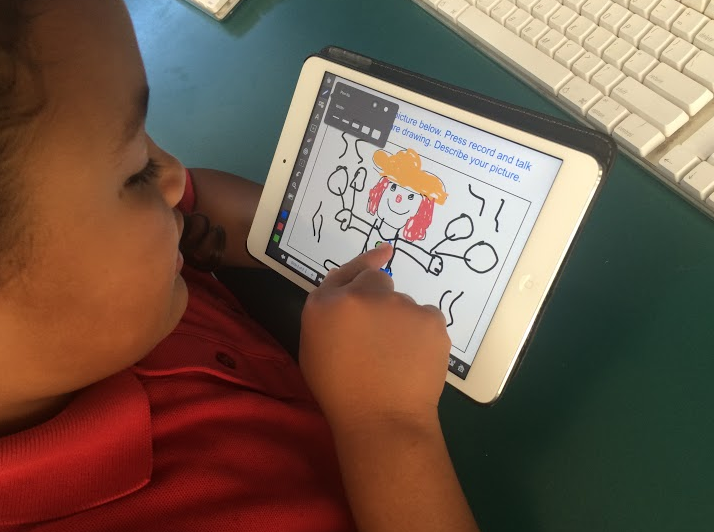 This activity supports the independence required for writing. We continued this structured activity into week 2 and all boys continued to experience success. For week 3, I asked the boys what theme they wanted to write about. Funnily enough they all chose running around at lunchtime. Loseti knew that he had been successful following the formula of the whole group and wanted to try something much more challenging. So we have grown into now providing two different dictations - one for Loseti and one for the other boys. The focus for week three is on reinforcing learnt words from weeks 1 and 2 as well as adding in some more complex vocabulary and introducing the concept of verbs. Above, is the presentation that is embedded on our classroom site. 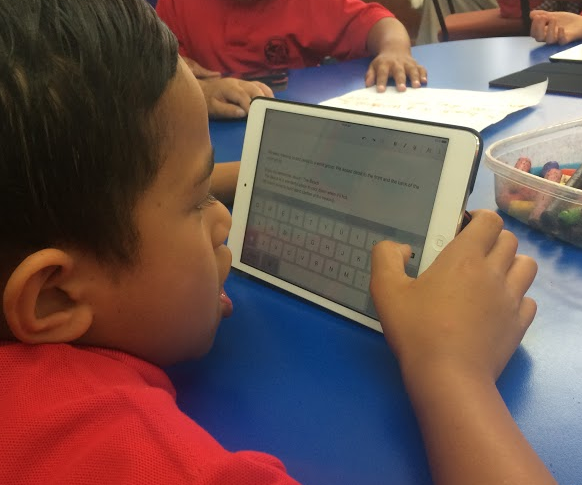 The boys are able to use this presentation to link to their activities, read their WALT and also watch short movies based on their word work focus. We have work to do on handwriting, punctuation and checking to see that the sentences are complete and make sense. However, overall I am pleased with the level of independence the boys are demonstrating and the success they are having with recording extended sentences. To say that 2015 has been a struggle would be an understatement. To say it has been inspirational, mind blowing and adventure filled would not be an over statement. I have learnt more about who I am, why I teach and what is important in the last 20 weeks, that at any other time in my life. As the clock ticks down for the last 15minutes of term 2 and 25 gorgeous children sit in front of me - all I can consider is how empty my heart will feel while away from them. They love without discrimination, they forgive quickly and most importantly they have a hunger and thirst for learning. 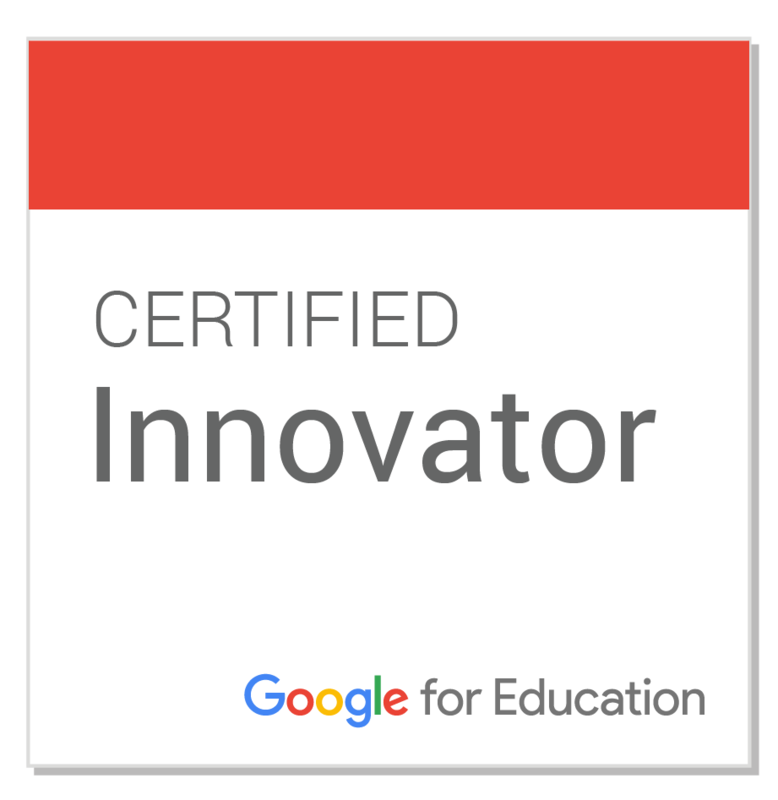 My focus in teaching, after the children, has always been innovation and challenging myself to be better than today. It truly is the people, it truly is the smiles on the face of small people, it is the love we share for each other and for learning that ensures our kids are making tomorrow better than today. 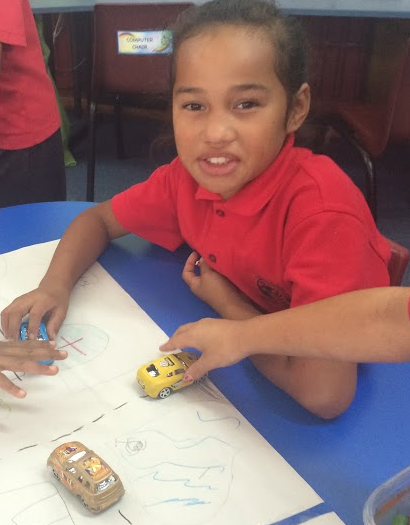 Week one of term 2 sees Pt England School begin a new inquiry of learning - Tinkering, Tools and Toys. Based around the Technology Curriculum, the children will have a chance to invent, design, develop and create - such fun! 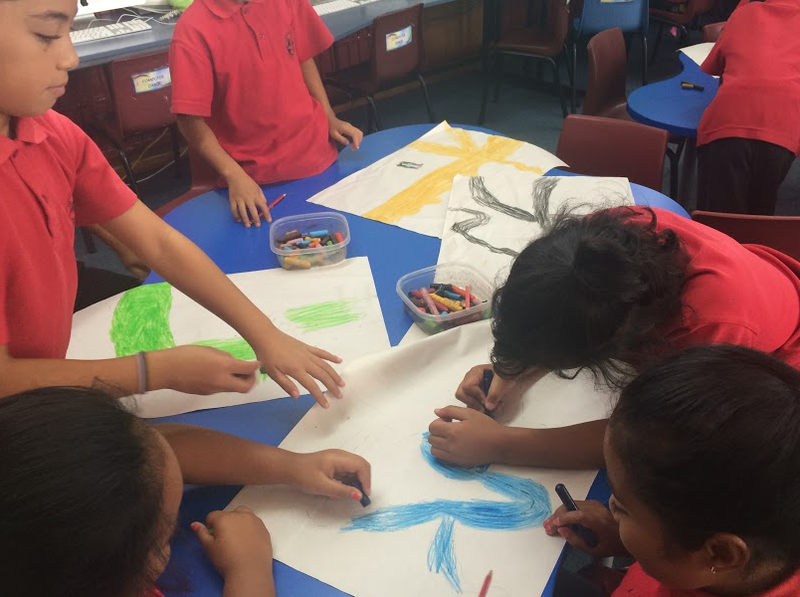 To immerse the children in new learning, the 5 classes in year 3/4 are undertaking an Immersion Rotation. Each class will visit each teacher to learn new skills and be exposed to design, creation and development of 5 different toys. The underlying purpose for our activities this week is to explicitly teach the Key Competency of Participating and Contributing. 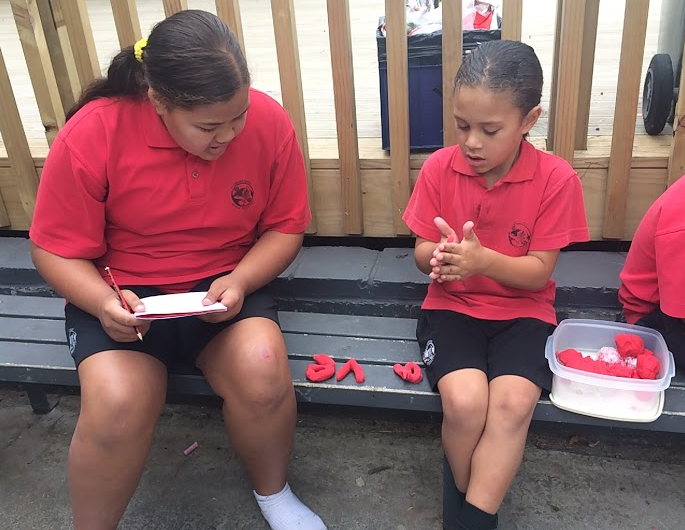 Each design and creation task involved the need for the students to work with others to source materials or create the toy. 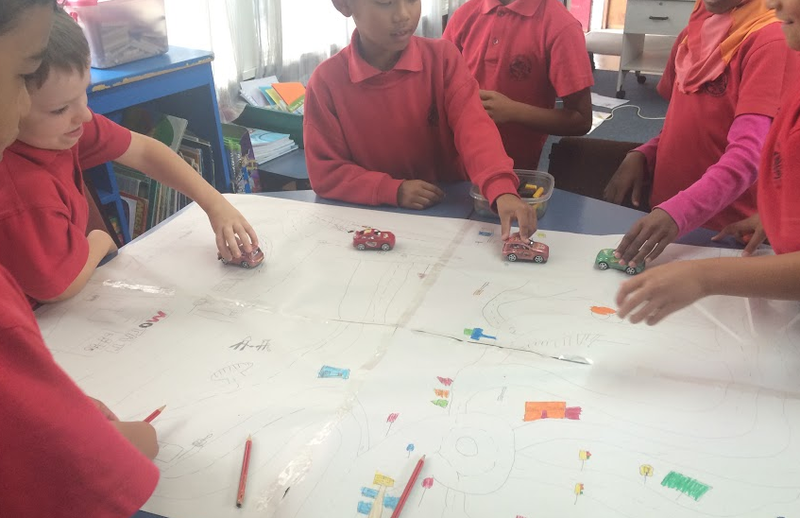 My challenge was to have the children design and create a Car Mat in groups using smaller pieces that needed to be combined to make the finished product. 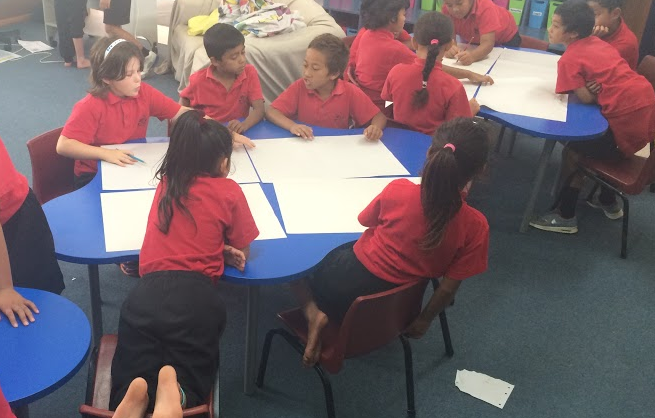 Step one was to have the groups realise that they needed to combine their smaller papers to make the mat larger and therefore more exciting to play with. Step two, draw the outline of the roads across all of the papers. Throughout this step the groups all worked well to listen to each other and share ideas to draw some very interesting roads. 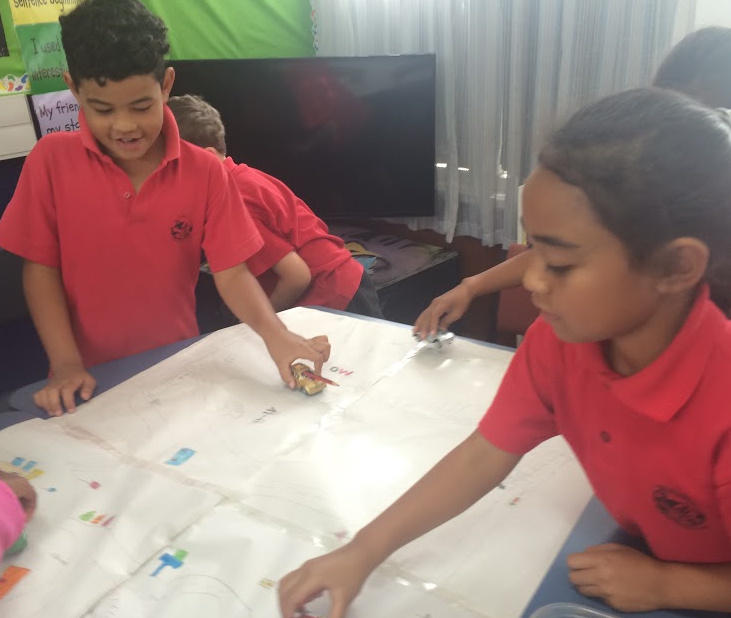 As some students realised that the roads were going nowhere or that the roundabout was poorly placed, they were able to calmly and politely offer suggestions and alternative solutions. What proved tricky was the fine tuning of the ideas and trimming down of the suggestions so that the road outline was completed on time. After the road was drawn, the groups could split off so that pairs could decorate and add detail to their piece of the track. There were plenty of discussions around who was drawing our school, McDonald's and even MOTAT. Most discussions were resolved very diplomatically however,. The fun began when the paper was stuck together and the cars were handed out. 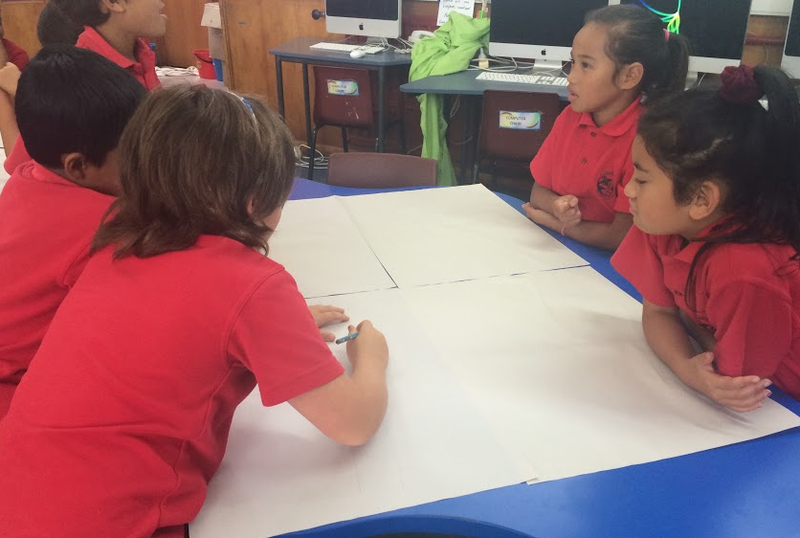 Some students disengaged from the design process and they were often the ones reluctant to share ideas. However, they always joined back in with the creation and refinement. Not all of us are born to lead or inspire, but we do all indeed have a role in the process. You're never too old to play with toy cars! This year I teach a class of kids who are keen to learn, but lack some of the skills necessary to access the curriculum as a seven year old. In trying to lift their sight word knowledge we're trying to see what the influence of 'big kids" might have in this. 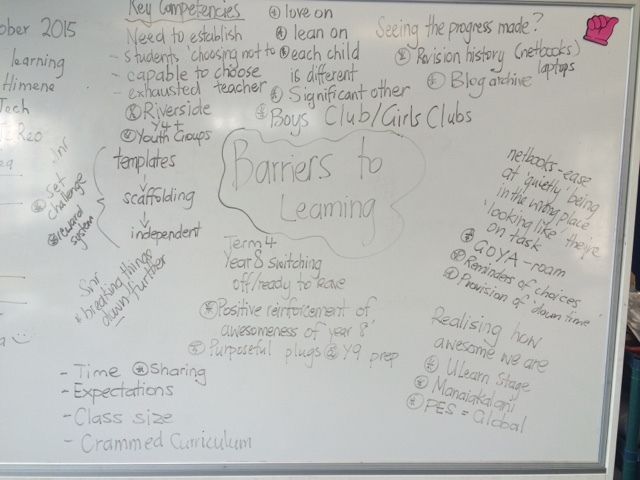 In return, the year 8s coming to work with our young ones are themselves the students who often don't experience situations where they are leading the learning. So for Nga Tuakana the benefits of this relationship exist as strongly as for Nga Teina. I have set up a small number of word activity stations that all students are quickly getting their heads around. For 45 minutes once a week, the students gather together and work through essential word lists at, and above their reading level. 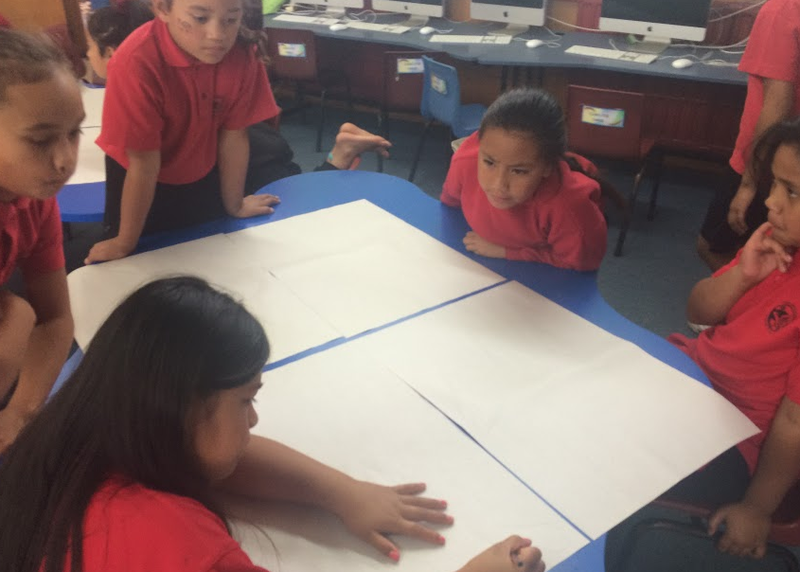 Also, Nga Teina read their reading book for that day and Nga Tuakana read to from a more complex picture book. 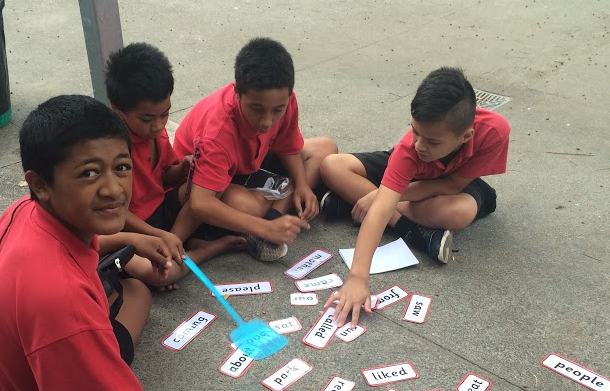 Nga Tuakana have an individualised booklet with essential word lists targeted to their learner and they refer to it to check which words to tackle next. The relationship building has been significant in just a handful of visits. 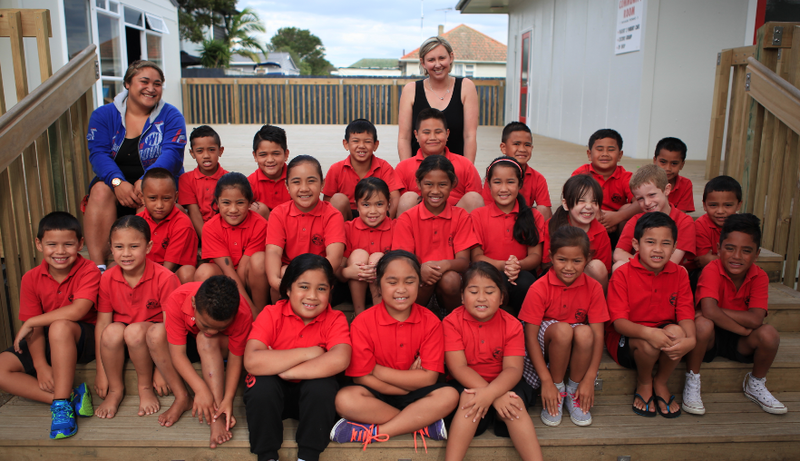 Nga Teina anticipate the arrival of Nga Tuakana and are desperate to work hard and show that they are learning. 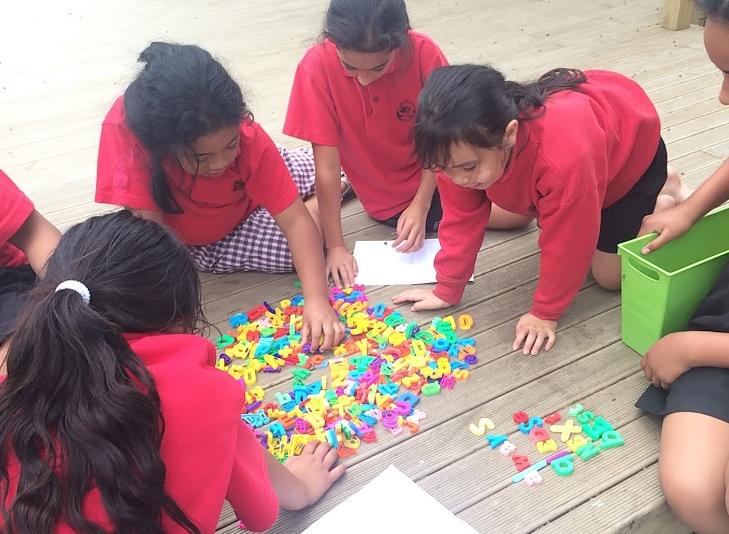 Nga Tuakana are learning skills of patience, perseverance and empathy, as they guide the young learners through their sight words. I am utterly grateful to these giant sized children who give of their time and work with these keen youngsters. I am extraordinarily grateful to their teacher who releases them and allows them this opportunity to give back, grow and nurture the culture of our learning community.